EMI has apparently demanded huge compensation from Microsoft and other retailers before it will drop DRM copy protection on its audio CDs, says Bloomberg . The British music giant is thinking of dropping DRM to help bolster the company's declining CD sales, but wants up front payments first. Talks between EMI and retailers such as Apple , RealNetworks and Yahoo Music reportedly stopped on Friday due to the two groups being unable to agree on a figure. There has been no indication of the kind of numbers they had been discussing. In some countries, record companies receive compensation from every blank media sold - CDs and tapes, for example. Other countries, like Canada , want an equivalent for digital music players, as it is widely believed most owners will copy CDs onto the player without considering copyright. Since this is practically unstoppable, a so-called iPod tax would give money from music player sales to the music industry as compensation. 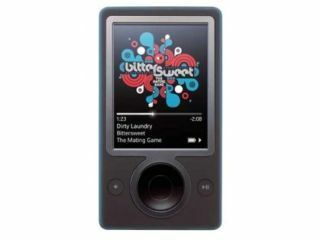 Universal Music Group has already entered into an agreement with Microsoft where it gets $1 (£0.51) for every Zune sold in the USA.